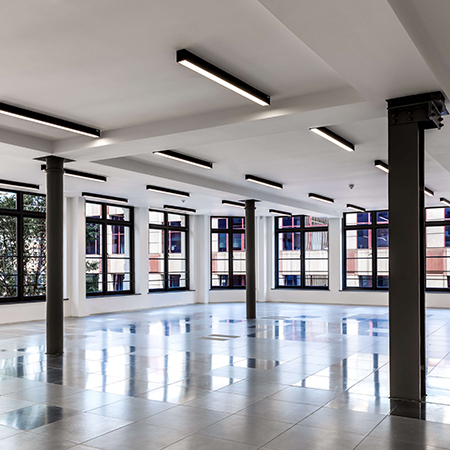 AET Flexible Space completed a major upgrade of the underfloor air conditioning system at The Bond Works building at 77-79 Farringdon Road, London. The building was originally constructed in 1882 as the London premises of Lincolnshire based engineering firm, Marshall & Sons, and previously underwent a full redevelopment in 2007 by a group of private investors. 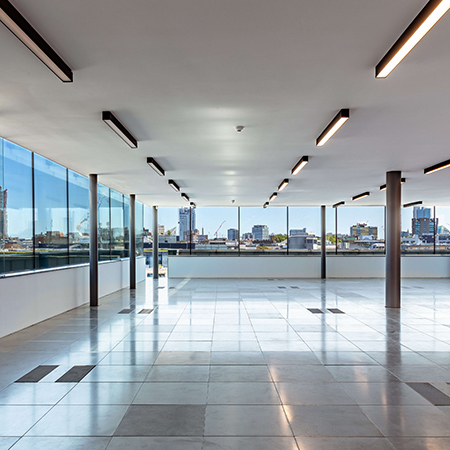 The eight storey building is located on a prominent corner position, with floor to ceiling glazing ensuring that each floor benefits from optimum natural light. 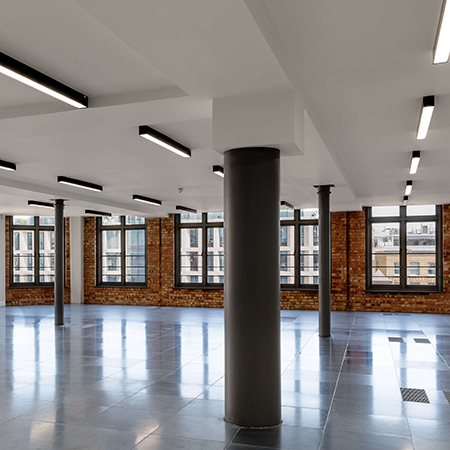 The exposed brick and iron work grants a contemporary warehouse style finish to the six extensively refurbished floors. 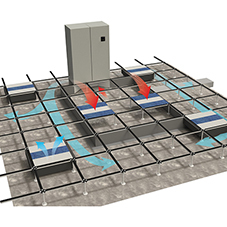 Underfloor air conditioning was specified and installed for the height restricted building in 2007, along with other energy saving design features such as night time ice storage. As part of the recent works, AET Flexible Space were successful in their bid to upgrade the existing downflow unit controls and replace all fan terminals on the six refurbished floors with AET Fantiles. Working for Twenty1 Construction and new building owners, NFU Mutual, AET engineers upgraded the existing units with AET control boards, associated cabling, new actuators and filters. 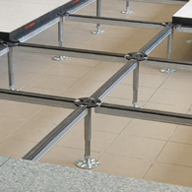 140 TU4-AC Fantiles were supplied for the six floors of speculative Cat-A accommodation with capacity to add additional terminals for tenant fit-out. 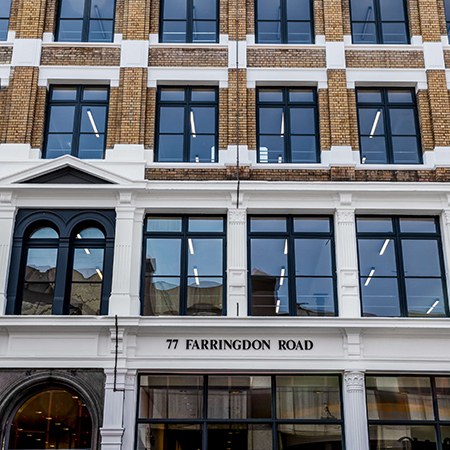 The final result is contemporary “cutting edge meets heritage” workspace, blending historic features with new modern services in the heart of Clerkenwell business district.